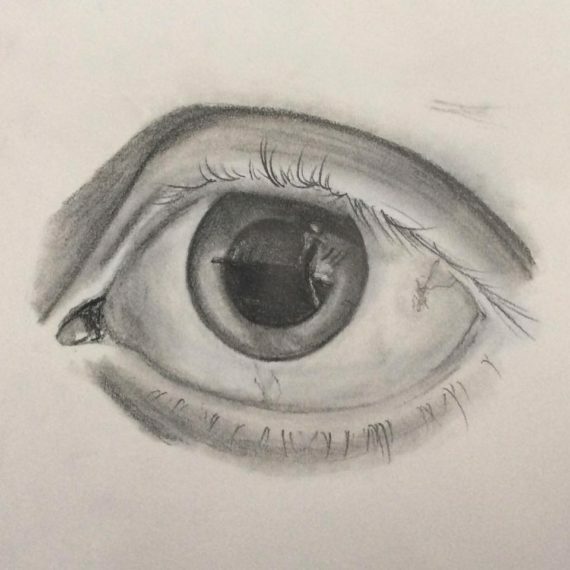 I then went on to working from my own resources and started drawing from photographs and this is the first drawing I did. Unfortunately I have lost the photographic evidence for this picture but I am pleased with how it turned out. 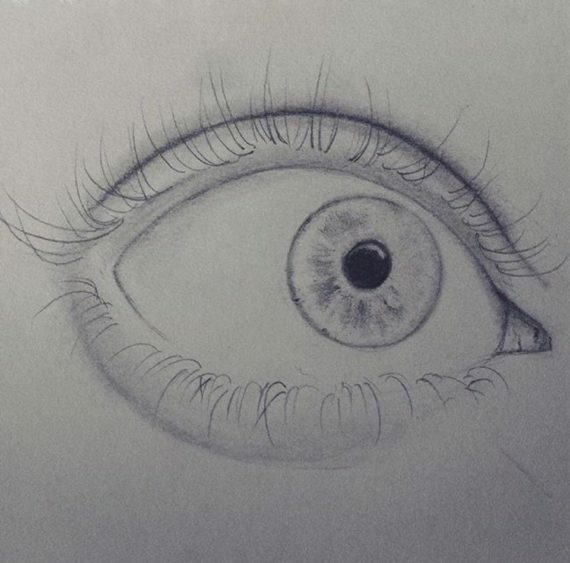 This is another study of an eye focusing more on expression and detail compared to my other one. In total this took me 4 hours to draw and I’m pleased with the outcome of it. I did copy the image from the internet however I drew in my own style and added different elements to the image to make it more mine. 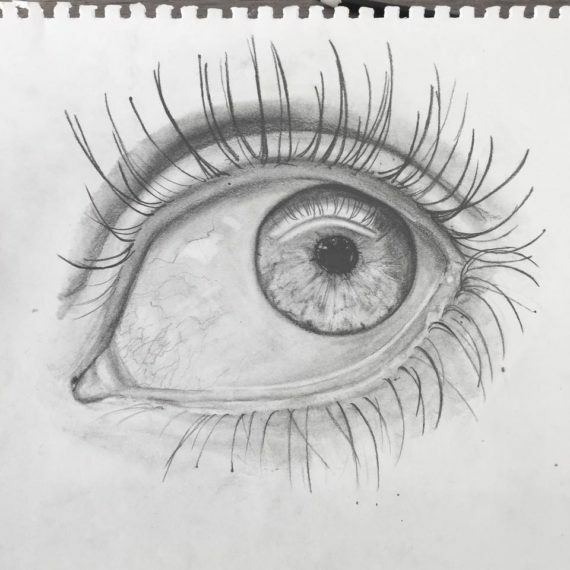 The thing I am most pleased about with this drawing is probably the eyelashes, even if they took less than 10 minutes to draw I think they give the drawing more depth, and I also like the length of them too. 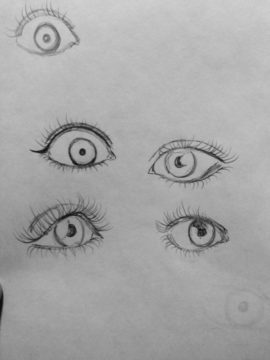 Before my eyes project existed I began sketching some random eyes in my sketchbook with different expressions. Emotion was something I was still interested in at the time. Each of my sketches took no longer than 5 minutes per sketch, and I also did these because I had a bit of an artist’s block at the time. 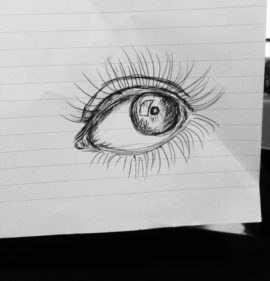 After these sketches I decided that eyes was something I wanted to focus on properly as a project.